The CT704b may be controlled by the two knobs on the faceplate and may also be controlled through software access over the USB-Serial port. 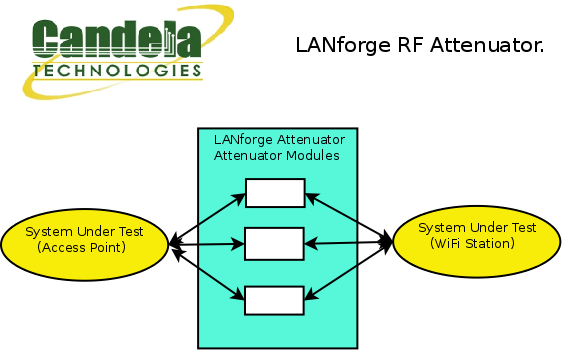 The included LANforge software suite supports automated scripting as well as manual configuration of the attenuator modules. The CT704b has no moving parts and will fit into a small travel bag or briefcase for easy portability. The CT704b includes 8 RP-SMA Plug to RP-SMA Plug patch cables, USB Cable, and external power supply (brick). 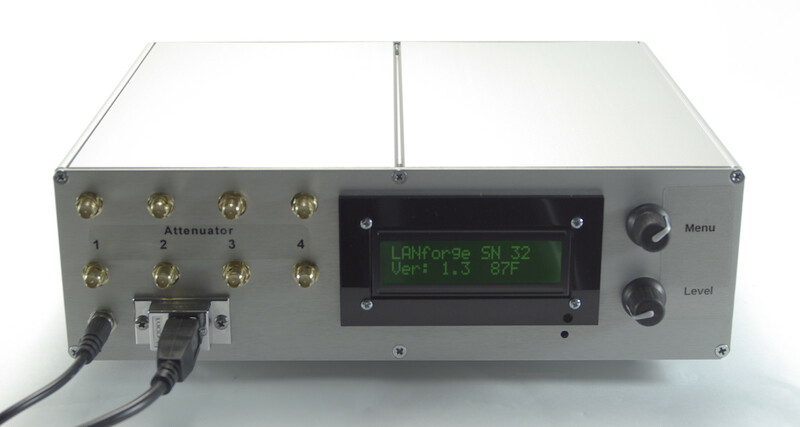 RF Attenuator with 0.3Ghz to 6 Ghz. 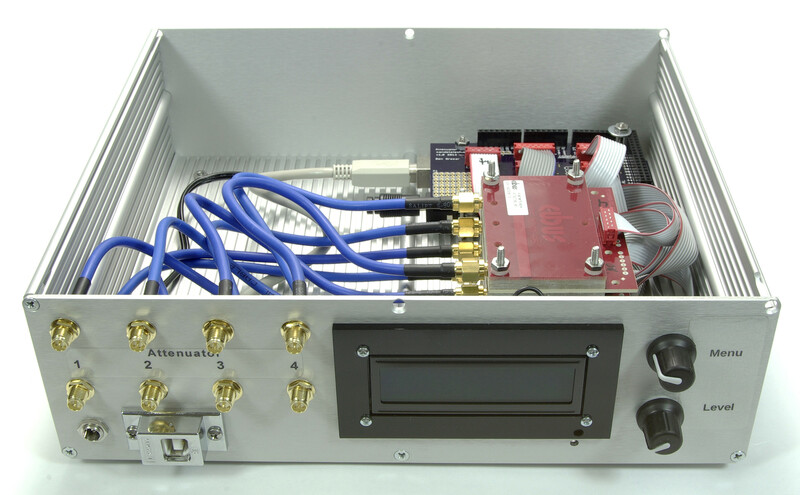 Includes 4 4205A - 95.5 RF Attenuation modules from API Tech.